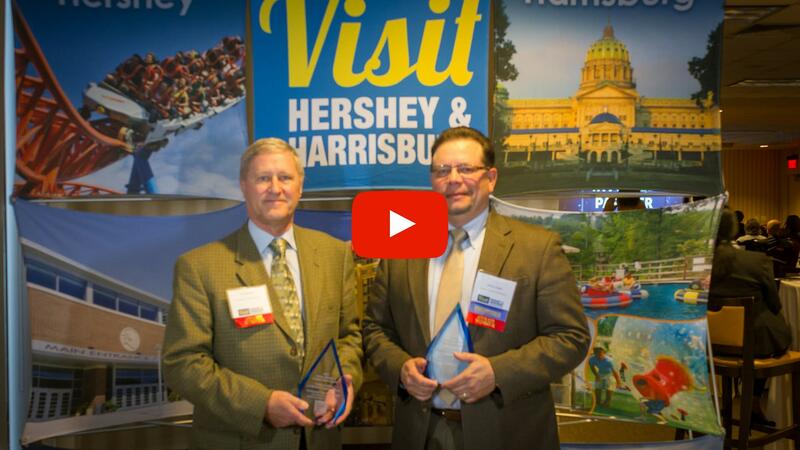 The annual event marks the bureau’s unofficial kickoff to the region’s prime tourism season. 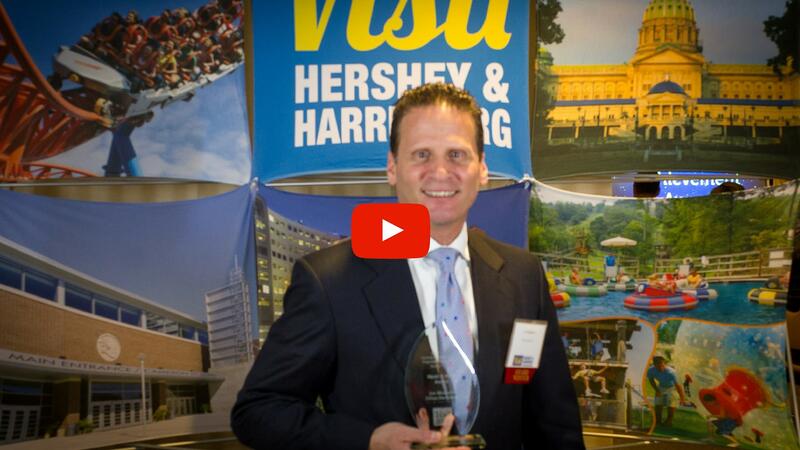 HARRISBURG, PA (March 31, 2016) — The Hershey Harrisburg Regional Visitors Bureau (HHR) recognized individuals and local Partner organizations for their outstanding achievements in tourism in the past year during the 4th Annual "Partner In Tourism Platinum Awards" held tonight at Hollywood Casino at Penn National Race Course. 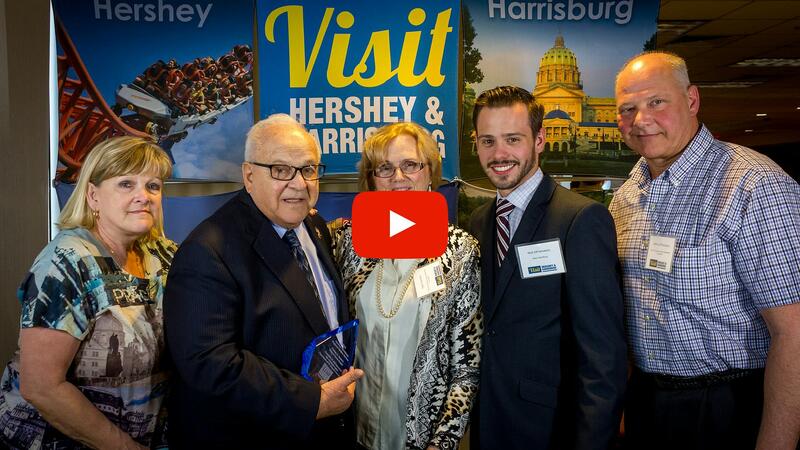 Approximately 150 bureau Partners and tourism supporters attended the event that unofficially marks the start of the region’s prime tourism season. According to Smith, attendees say they enjoy the event as a rare opportunity in this busy industry to reunite and network with their peers in a fun atmosphere. The evening of awards began with the bureau’s Partnership Director Justin Martsolf recognizing 12 businesses that have completed or initiated renovations, expansions and improvements this past year with “Keepin’ It Fresh” certificates. Martsolf also recognized 10 Partners who have made an important investment in our community by opening new tourism-related businesses in 2015 with “New Biz On the Block” certificates. HHRVB Vice-President of Operations Sue Kunisky then handed out large ceremonial checks worth a total of $24,825 to four recipients of the bureau’s new Marketing Assistance Program. 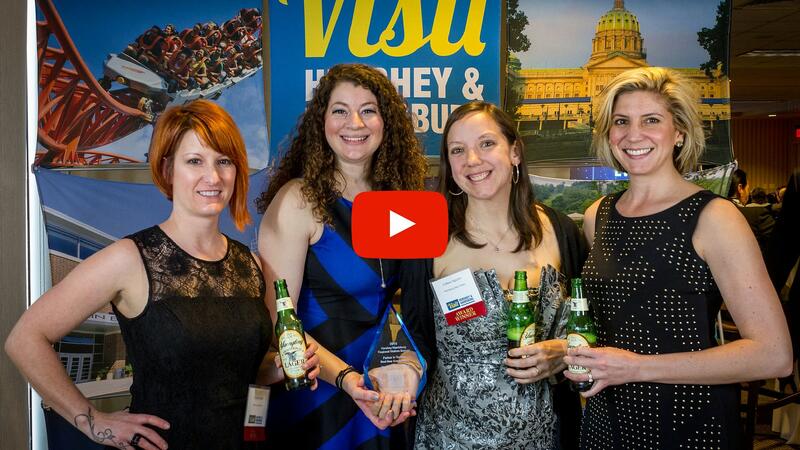 The evening’s main event was the “Platinum Awards” which recognizes a select group of individuals, regional businesses, and special events for their outstanding efforts and noteworthy accomplishments from the previous year. 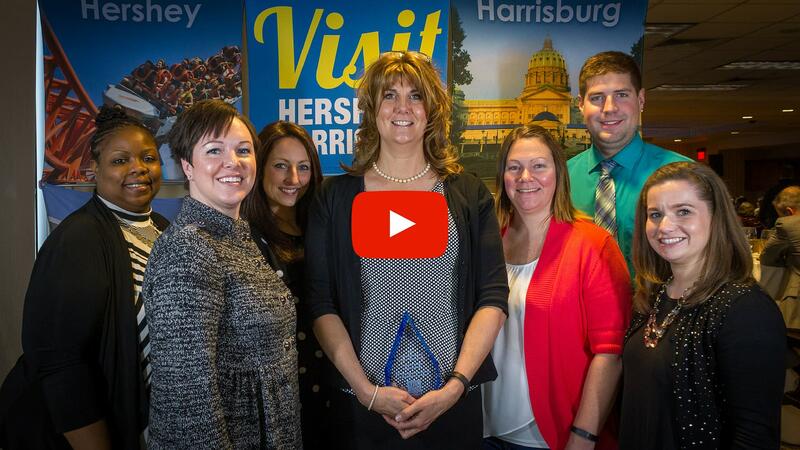 This year the bureau presented fifteen (15) awards to Partners for their dedication and commitment to their local tourism industry, active involvement with bureau promotions, services and programs, and the development of new events and business for the region. A new element that was added to the awards this year was a collection of short videos featuring each Platinum Award recipient. HERSHEY’S CHOCOLATE WORLD ATTRACTION - NEW Chocolate Tasting Experience. TownePlace Suites by Marriott Harrisburg/Hershey - New lobby, guestrooms, and breakfast room. 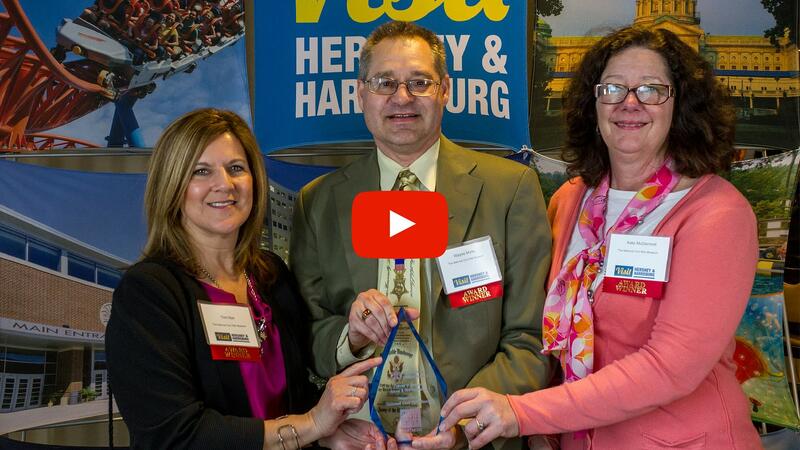 Holiday Inn Express Hershey/Hummelstown - Remodeled all 78 guest rooms, breakfast room, and a new Guest MarketPlace. Holiday Inn Middletown/Harrisburg - Complete remodel makeover from exterior to guest rooms to become a full-service property with restaurant, lounge, and banquet facilities. Gamut Theatre Group - New Theatre opened in a historical downtown structure that includes a mainstage that seats 230 plus 2 spacious classrooms for educational programming. The new location now provides patrons with a reception lobby and a bar area. 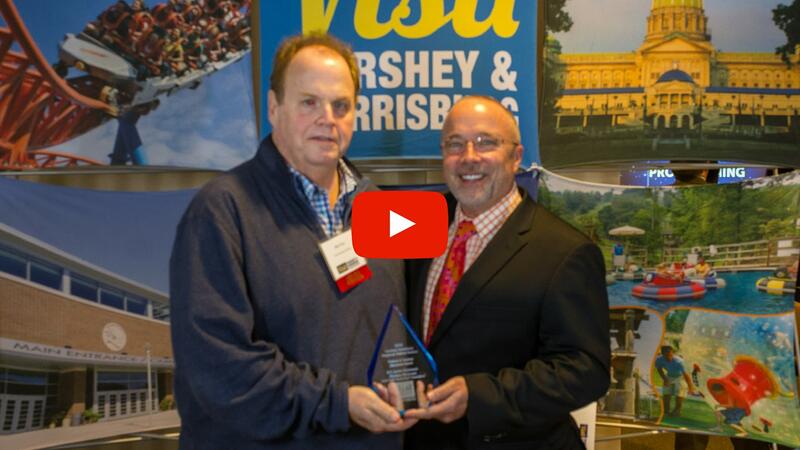 Adventure Sports in Hershey - Added a new indoor meeting room and new Clubhouse that seats 80 guests and provides indoor space for larger events. Penn&apos;s Cave & Wildlife Park - Visitors Center enhancements including murals and a model train display. Pennsylvania National Fire Museum - Added a 1951 Model “A” Mack pumper from the Defender Fire Company located in Berwick, PA; and a new display of the Dauphin County Fire Dispatch Console that was in service during the nuclear incident at Three Mile Island in March of 1979. The Vineyard & Brewery at Hershey - A new "Straws & Stripes" event raising funds for local military causes such as an organization called Dog T.A.G.S., which provides fully-funded service dogs to soldiers who return from service and are suffering the effects of post-traumatic stress disorder. Mike Merlot Wilson, Marketing Manager. U.S. Army Heritage & Education Center - New Vietnam exhibit that will be open through November 2017. Historical Society of Dauphin County - Exterior restoration of the John Harris-Simon Cameron Mansion including improvements to the grounds and structure. 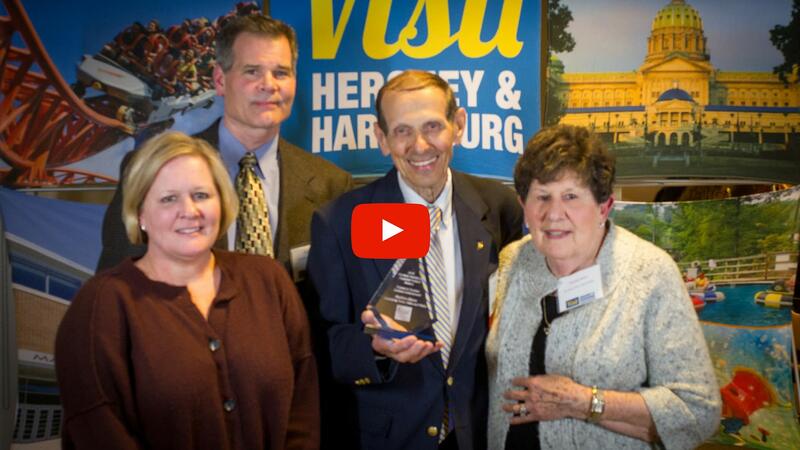 The Hershey-Derry Township Historical Society - Renovations to update their facility and museum exhibits. Read more about HHRVB&apos;s new Marketing Assistance Program & Co-Op Advertising Program introduced in 2015. The Above and Beyond Award says - you are not 9-5. It says when your day job is done, you’re first in line to volunteer your personal time, resources and skills to develop, advance and improve local tourism. 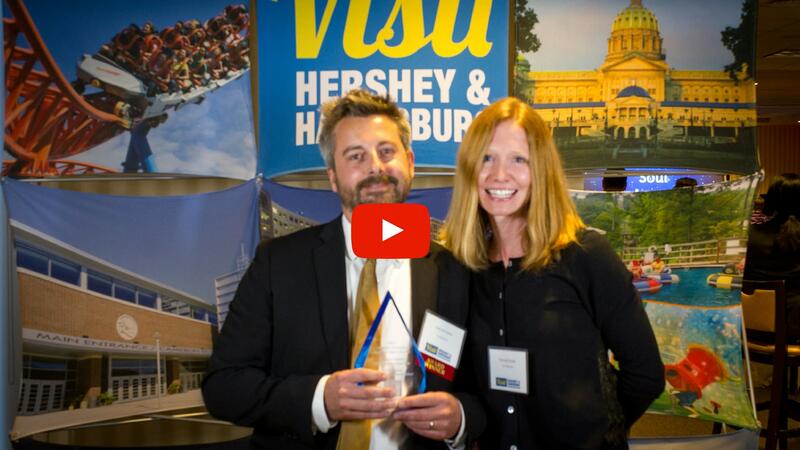 The Best New Event Award says - you ran with an idea, swung for the fences, and hit it out of the park with a new annual or one-time event that brought significant economic impact to the Hershey Harrisburg Region. 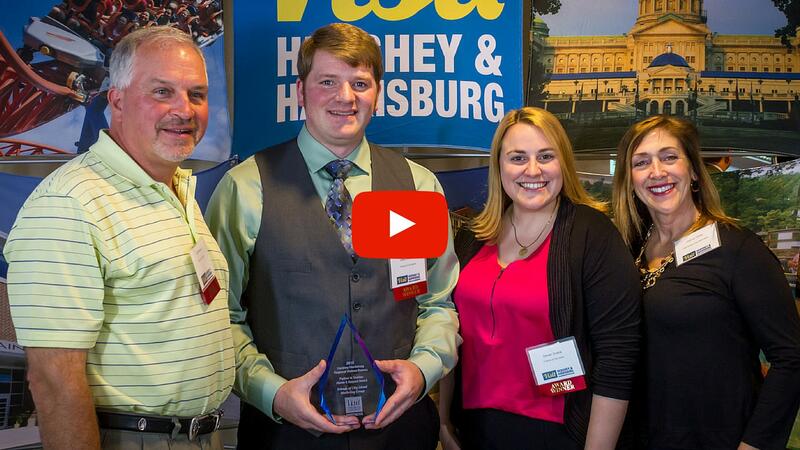 The Bring It Home Award says you know it’s silly to travel to your organization’s yearly meetings when we have the best facilities right here. It says you’ve played a critical role in securing a new annual - or one-time meeting, convention, sporting event, special event or group that has a significant economic impact on the region. The Milestone Award says you may have started small – but look how far you’ve come. It says you’ve learned and grown - and that you should be proud of the incredible accomplishments that have come from years of hard work and dedication. 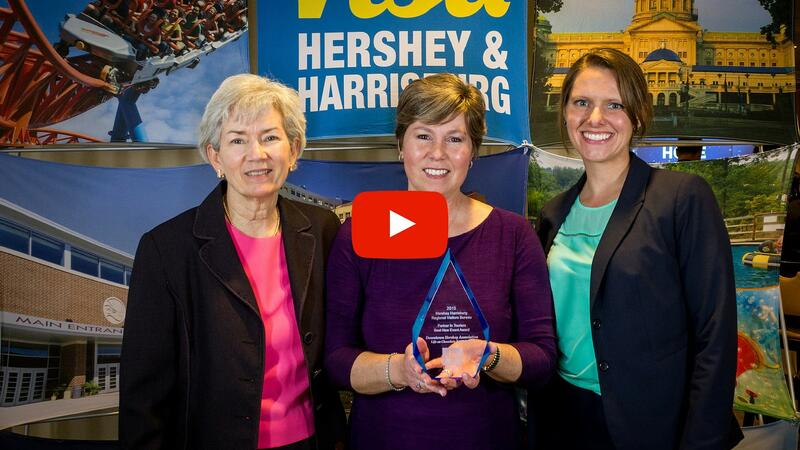 It says thousands upon thousands of visitors to our region have come – because of you. The Excellence in Programming Award says - you believe in what you do, and you’re proud to share it with the community through educational series and events. 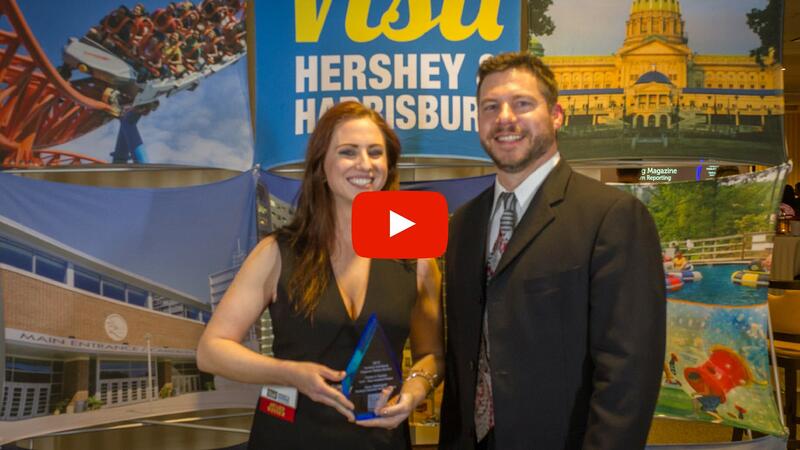 It says you take an innovative approach to programming that not only leads to the success of your own organization but also exemplifies the region’s diversity and culture while contributing to the growth of the region’s tourism industry. The V.I.P. award says you network like a champion. It says if it’s tourism-related – You. Are. There. It says we can count on you to be active and engaged in HHRVB events and seminars. That your hand is in the air to volunteer at bureau-sponsored booths or exhibits, comp visiting media and assist with sales familiarization tours and client visits. The Friend of Tourism Award says - you get it. It says you understand how important tourism is to the region’s economic success, and that you’ve supported the bureau’s mission and goals through participation in programs and by sharing HHRVB initiatives. The Future of Tourism Award says that you remind us all about the passion we need to be leaders in this industry. 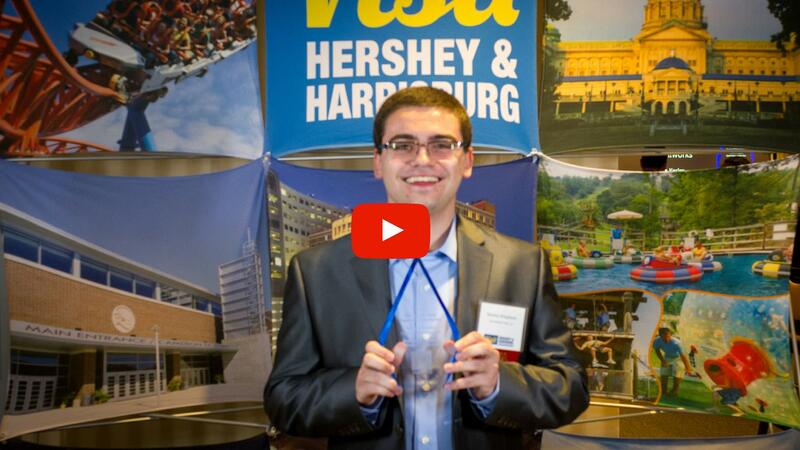 That you embody the energy and enthusiasm it takes to tell potential visitors that our region has what they’re looking for in a getaway. 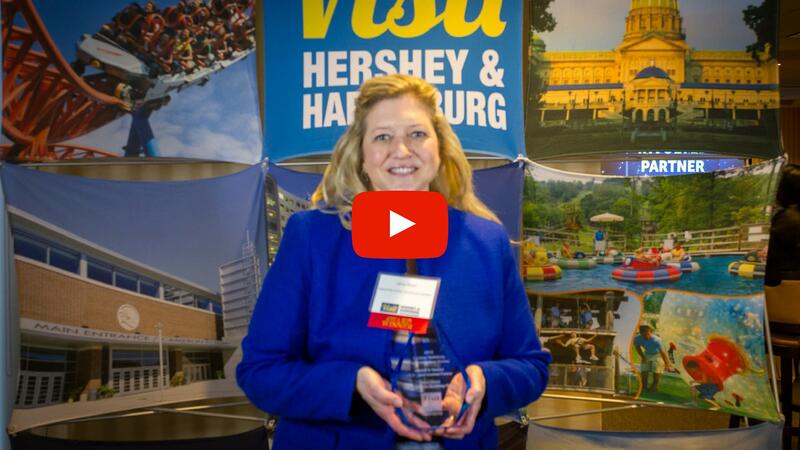 The New Tourism Business of the Year Award says that you know good business is good for the entire region, and that you’ve built a business model that reflects a dedication to the overall success of tourism in the Hershey Harrisburg Region. The Heart and Soul Award was created in memory of our dear friend Julie Sullivan, who we lost in 2012. The Heart and Soul Award says you have shown selfless dedication to your family, community and peers just as Julie did in her life. It says your talent and energy touches the world well beyond your profession, and that your tireless enthusiasm for life, charity and volunteerism is an inspiration to us all. The Lifetime Achievement Award says - you&apos;ve seen it all. You&apos;ve made an indelible mark on the world with your ingenuity and work ethic. You’ve set an example for how to treat the region’s visitors that we can all learn from, and you’ve made those around you so very proud.